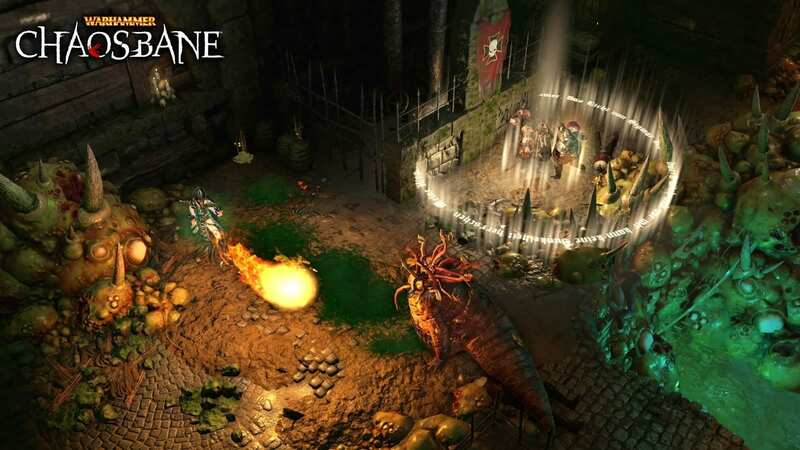 [Preorder now] Publisher Bigben and developer Eko Software today announced that preorder of Warhammer: Chaosbane is now available on its website for the PC version. 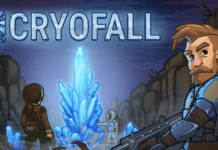 The action RPG is scheduled to launch on PlayStation 4, Xbox One, and PC starting 4th June 2019. 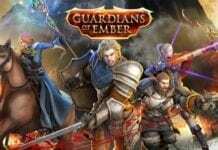 Owners of the Magnus Edition will get to play the game starting 31st May 2019 due to the early headstart bonus. 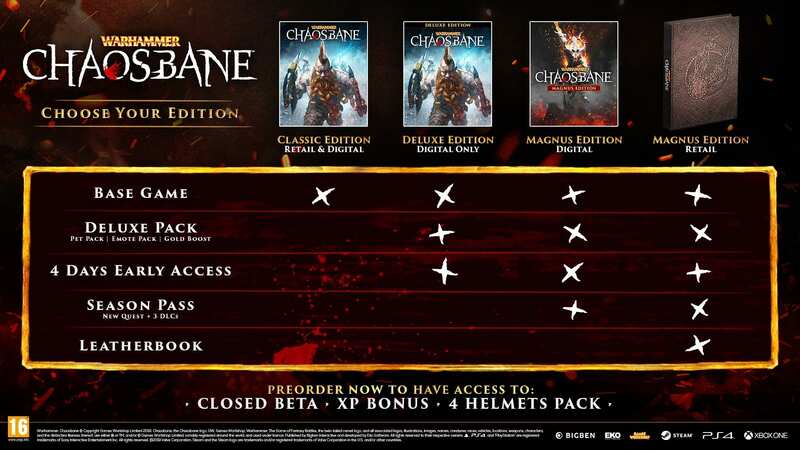 Warhammer: Chaosbane will offer two beta phases this March accessible only to the players who have preordered. They will receive an experience bonus for the entirety of the character’s progression and a pack of 4 legendary crates. 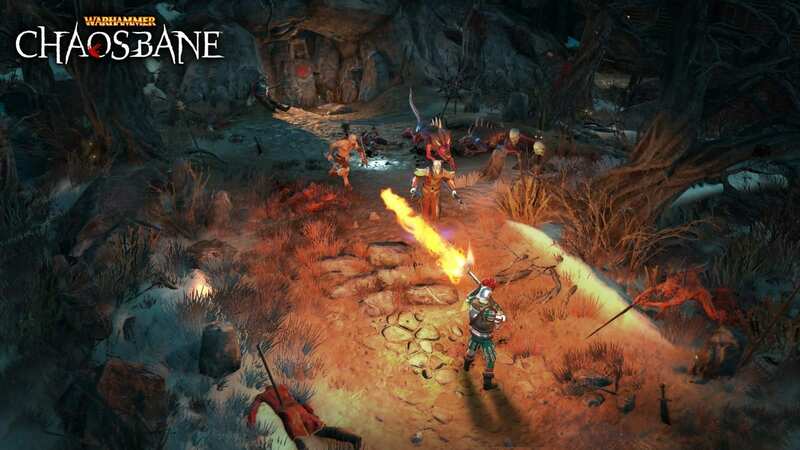 In Warhammer: Chaosbane, each class offers the player distinct abilities and gameplay. As players cooperate, online or locally, with up to 4 players, strategy will be essential to doing away with the hordes of Chaos. Unleash Bloodlust, a unique mechanic in Warhammer: Chaosbane, which lets loose a devastating power that can change the outcome of a battle. 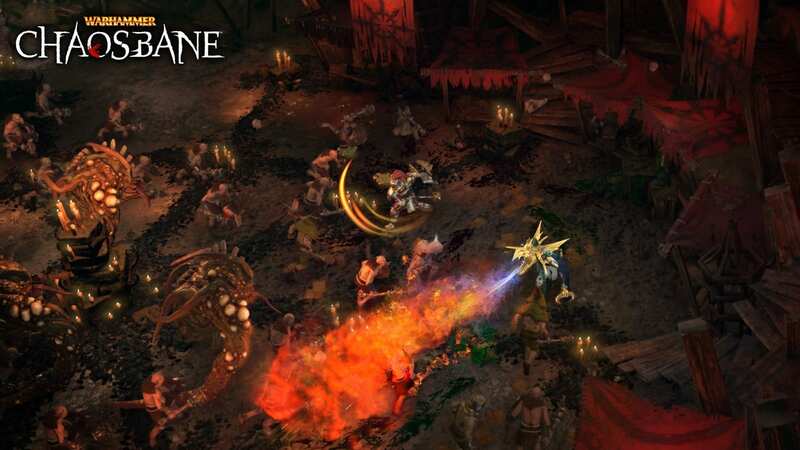 The first hack n slash to take place in the Warhammer Fantasy Battles world, Warhammer: Chaosbane plunges the player into the heart of the Old World, a continent marked by the Great War Against Chaos, a bloody conflict which ravaged the Empire of men. They will embody a human, a high elf, a wood elf, or a dwarf, and discover the iconic locations of the Warhammer Fantasy Battles universe that’s captured millions of fans across the world.